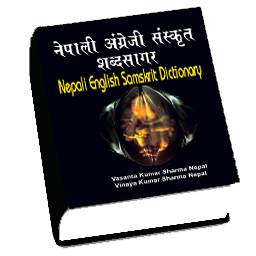 Sanskrit language is the mother language of many including Nepali. The breast of oriental philosophy is Sanskrit language. So, Sanskrit language is very important. This is beneficial to fulfill the demands to there interested in Nepali, English and Sanskrit language. Page:- 884. Size:- A4. Price:- 850/- Edition:- 1st. Editiors:- Vasanta Kumar Sharma Nepal / Vinaya Kumar Sharma Nepal.